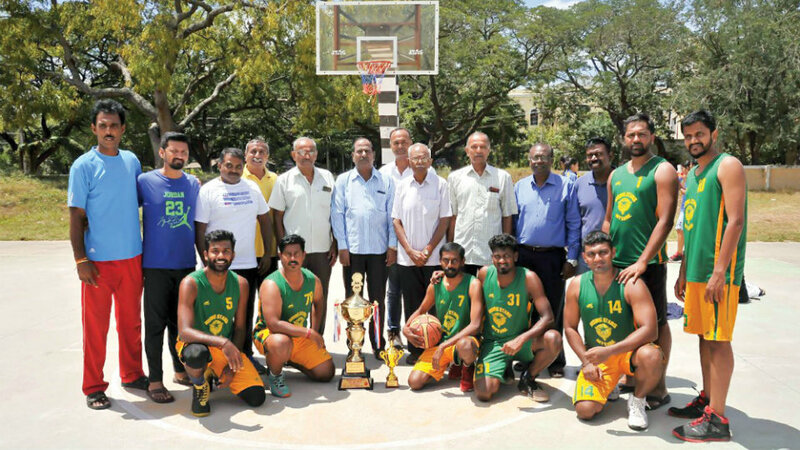 Defending champion, Rising Star BC, won the Mysuru District Basketball League title in the men’s section by registering a facile 60-27 win over Protec Association in the final played at the University Courts here yesterday. 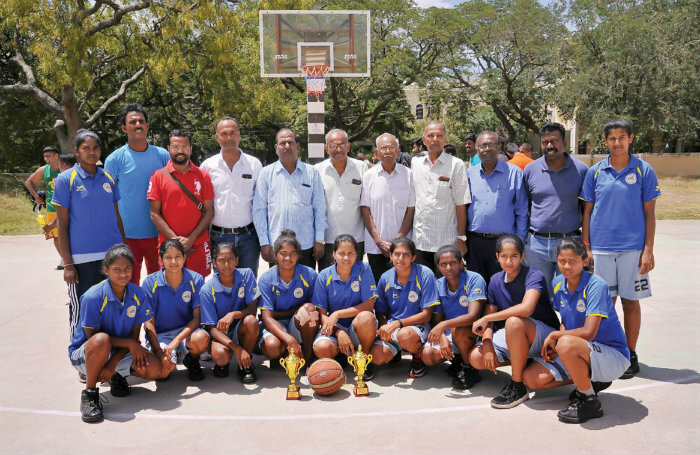 In the women’s section, DYES Mysuru won the title beating Aryans BC 66-28 in the final. Picture shows triumphant DYES (Mysuru) team which clinched the women’s title in the Tournament. Bharatiya Vidya Bhavan (BVB) won the title in the High school section and Vani Vilas High School won the title in the High School girls section. Men — Rising Star: 60 (Supradeep 18) bt Protec Association: 27 (Divyanand 11). Women — DYES Mysuru: 66 (Soumya 22) bt Aryans BC: 28 (Smitha 12). High School Boys — Winner: Bharatiya Vidya Bhavan (BVB); Runner-up: St. Joseph’s Central School, Yelwal. Promising Player: Deepak Gowda, BVB. High School Girls — Winner: Vani Vilas High School, Runner-up: Manasasarovar Pushkarni High School. Promising Player: M. Anagha, Podar Intl. School.